Most of our current knowledge of mammalian embryology is derived from studies of the mouse embryo. However, mammalian development involves substantial divergence in the mechanism and order of cell-fate allocations among species, and there has been a critical lack of information regarding human development due to the scarcity of human embryo specimens. Recent studies from my laboratory and others have shown that under suitable culture conditions human pluripotent stem cells (hPSCs) can undergo intricate morphogenetic events and self-organize to form patterned human embryo-like structures in vitro. These synthetic human embryo-like structures have sparked great interests in using such human development models to advance human embryology and reproductive medicine. In this talk, I will first discuss a micropatterned hPSC-based neuroectoderm developmental model, wherein pre-patterned geometrical confinement induces emergent patterning of neuroepithelial and neural plate border cells, mimicking neuroectoderm regionalization during early neurulation. In the second part of my talk, I will discuss a hPSC-based, synthetic embryological model of human post-implantation development that recapitulates key developmental landmarks successively, including pro-amniotic cavity formation, amnion-epiblast patterning, primordial germ cell specification, and development of the primitive streak with controlled anteroposterior polarity. Together, our studies provide novel insights into previously inaccessible but critical embryogenic events in human development. Continuous development of these human development models will provide synthetic embryological platforms that open up previously inaccessible phases of the human life cycle to experimental study. 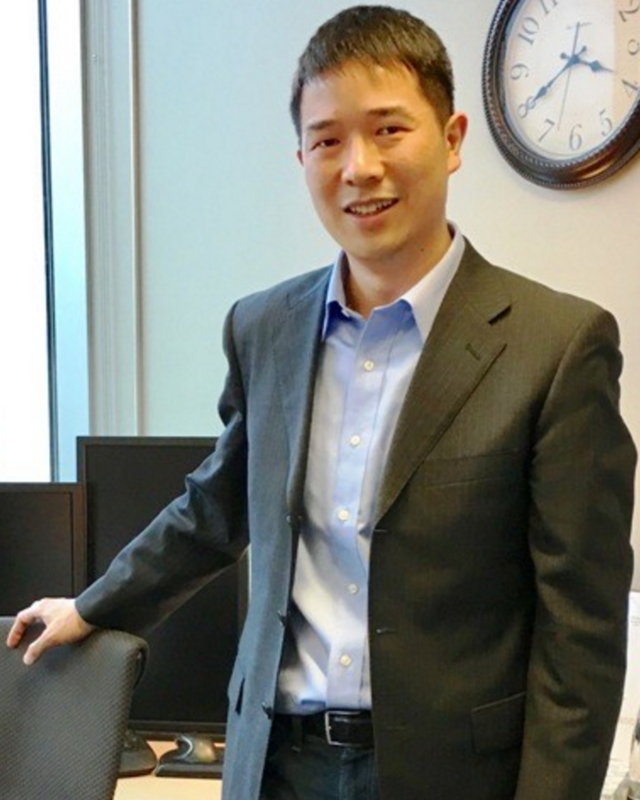 Jianping Fu is an Associate Professor at the University of Michigan, Ann Arbor, with a primary appointment in the Mechanical Engineering Department and courtesy appointments in the Biomedical Engineering Department and the Cell and Developmental Biology Department. Dr. Fu’s research interests lie at the nexus of bioengineering, biophysics, and biology. Specifically, his research group integrates micro/nanoengineering, single-cell technologies, and systems and synthetic biology methods with new discoveries of mechanobiology, epigenetics, and stem cell biology for advancing understanding of human development and cancer biology. Dr. Fu is the recipient of the American Heart Association Scientist Development Award (2012), the National Science Foundation CAREER Award (2012), the Mechanical Engineering Outstanding Faculty Achievement Award (2014), the Robert M. Caddell Memorial Award for Research (2014), the Ted Kennedy Family Team Excellence Award (2015), the Rising Star Award from Biomedical Engineering Society - Cellular and Molecular Bioengineering (2016), and the George J. Huebner, Jr. Research Excellence Award (2018). Dr. Fu's research on modeling human development using human pluripotent stem cells has laid the foundation for the emerging field of "Synthetic Embryos", which was selected by MIT Technology Review as “10 Breakthrough Technologies of 2018”. Dr. Fu's research group is supported by the National Science Foundation, the National Institutes of Health, the American Heart Association, and some other foundations and agencies.